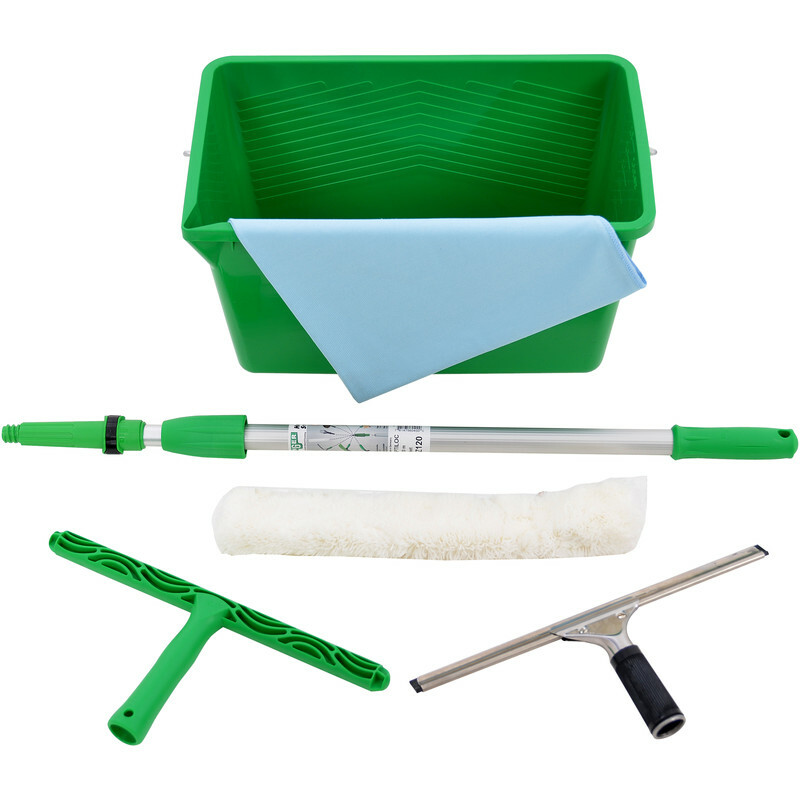 18L Bucket, OptiLoc 2 section pole 1.25m (4 ft), 35cm washer T-bar, 35cm washer sleeve, microwipe finishing cloth, squeegee handle and 35cm s-channel with rubber. Compatible with other Unger tools. Unger Window Cleaning Starter Kit (7 Piece) is rated 3.5 out of 5 by 2. Rated 5 out of 5 by Easton from Quality Kit I bought this to clean my conservatory. Particularly the roof which was quite dirty. I’ve used it a couple of times and it leaves the glass squeaky clean. I had read reviews on other sites about non branded window cleaning kit and the consensus was “don’t waste your money get Unger”. Yes it is expensive, but I reckon it will pay for itself after 3 cleans.